“The Ellipse,” Histories of the National Mall, accessed April 22, 2019, http://mallhistory.org/items/show/315. 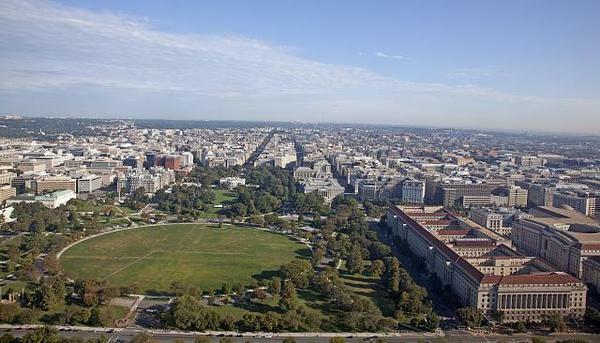 The Ellipse, officially known as President's Park South, is a 52 acre park located directly south of the White House. It was part of L'Enfant's original plan of the city. The Ellipse was originally called "The White Lot" due to the whitewashed fence which enclosed the area. It was the home park for some of Washington's first amateur baseball teams. The park was used by the military during the Civil War and World War II. The area is open to the public and contains many monuments and memorials. Since 1954, it has been the site of the annual Christmas Pageant of Peace.